The Malta Communications Authority was acting intra vires when, by means of Directive No. 2 of 2005, it instituted a legal interception fund for the purpose of sharing the cost of legal interception obligations between persons providing, or authorised to provide, electronic communications networks and services or associated facilities. This was decided by Judge Anna Felice in the case of Vodafone Malta Limited vs The Malta Communications Authority and the Attorney General heard in the First Hall Civil Court on the 16th of June 2018. The Court heard the claims by the plaintiff, who held that the defendants were responsible for the improper transposition of EU Directive 2002/20 on the authorisation of electronic communications networks and service. They stated that the costs imposed on them by Directive 2/2005, formulated by the Authority, went beyond the measures contemplated by the EU Directive, and that therefore it was not within their power to have made such a decision. The Court then heard two strong pleas by the Attorney General who attacked the claim both procedurally as well as substantively. The primary defence was that the Attorney General should only represent the Government, as a defendant, when no other departments or heads of departments can answer for a particular claim. Since the Directive was issued by the Communications Authority, the Attorney General could not be said to be the relevant defendant. The Court agreed with this reasoning. The second plea made, also reiterated by the Authority itself, was that the EU Directive regulated administrative costs that could be imposed on undertakings in the communications sector, and that this in no way was mutually exclusive to the costs imposed by Directive 2/2005. It was explained by the Authority that the aims of the costs imposed by their Directive were to collect the sums due for the costs of legal interception, allowing for electronic transmissions needed for communications, and to pass them on to Social Security services. Thus, it was held by the defendants that the decision made to impose such costs did not constitute an ultra vires action and that, on the contrary, the collection of such sums is necessary. The Court analysed the scope of EU Directive 2002/20 by making reference to Article 1 of the said legislation. An analysis of the article shows that its aim is to implement an internal market in electronic communication networks and to harmonise rules and conditions imposed on undertakings within the sector. The plaintiffs argued that, in fact, no other Member State imposed such costs on similar undertakings and that therefore the harmonization envisaged by the Directive was compromised. The Court, however, made reference to Recital 7 of Directive 2002/21/EC, or the Frameworks Directive, which itself establishes a common regulatory framework for electronic communications networks and services. The Recital states that any specific directives related to electronic communications do not prejudice the right of Member States to establish necessary measures to ensure the protection of essential security interests and the safeguarding of public policy. The Court stated that this applies to the implementation of Directive 2002/20, where the Communications Authority could not be found guilty for imposing ulterior costs to undertakings for the safeguarding of Social Security interests. 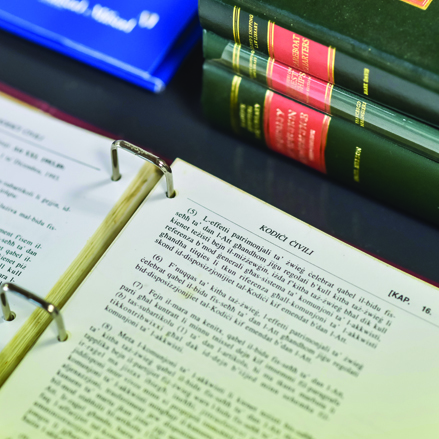 It was therefore held to be irrelevant whether other Member States imposed similar costs or not, owing to the fact that this was a measure contemplated by Maltese authorities for the collection of required costs. The Court concluded that the only way by which the Authorities could be found to have abused their position and implemented an ultra vires decision, is if it was found that Directive 2/2005 either lacked transparency or proportionality. Since neither of these elements could be proven, the Court overruled the plaintiffs’ claims and ordered them to pay the judicial costs involved in the proceedings.